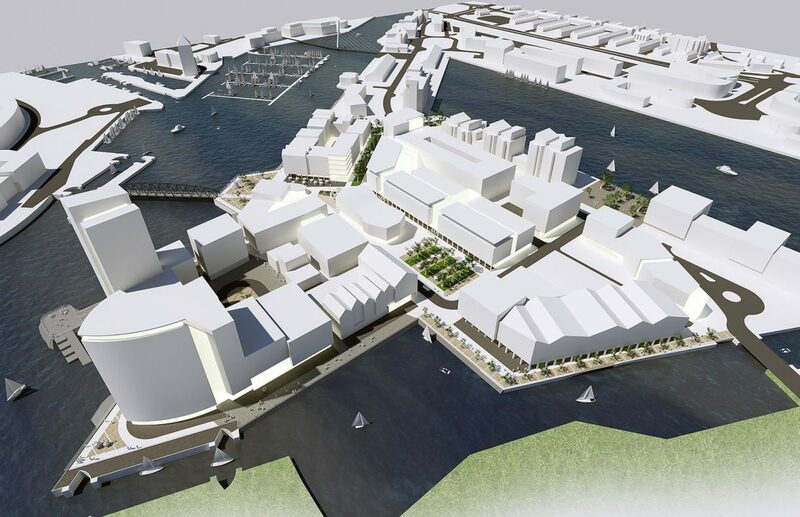 The concept of a City University Waterfront Innovation Quarter will set Swansea apart from any other city in Wales. 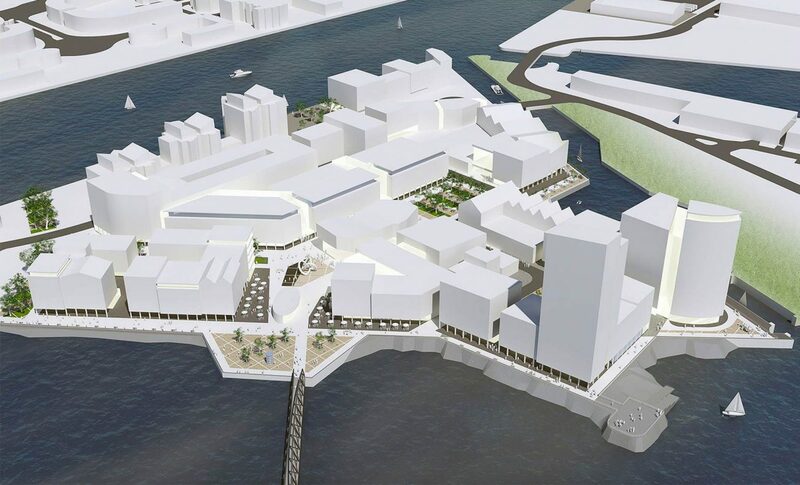 As well as being an economic hub, the ‘Waterfront Innovation Quarter’ will also be a catalyst for further external investment and has been recognised (and supported via a Development Agreement) as a transformational initiative by the Welsh Government. Shaped by discussions and engagement with the City and Country of Swansea Council, the Welsh Government, Design Commission for Wales and the Princes Foundation for Building Communities, the SA1 Masterplan seeks to facilitate a mixed use scheme and deliver employment, community facilities and the meeting of strategic residential targets in a vibrant waterfront setting. Beyond the University’s proposed operational estate, commercial, residential, leisure, recreation and employment incubator spaces will be provided in the form of new, higher density, mixed use neighbourhoods with enhanced access to the waterfront and the City Centre. The scheme has since been shortlisted for a prestigious 2016 Royal Town Planning Institute Award in the ‘Excellence in Planning to Create Economically Successful Places’ category. Through a series of Project Design Team Meetings, Project Programming and regular verbal and written reporting protocols, team members were aware of their input and inter-dependencies between co-consultants to investigate potential solutions and added value design responses as part of the masterplanning process. A regular liaison forum was established between UWTSD and the Council, enabling a constructive dialogue which informed the project brief, and allowed the collaborative partners identified above to become engaged at the appropriate time. Dialogue with the Council added value to the evolution of the brief and masterplanning/town planning strategies. A bespoke “Communication Matrix” was developed to highlight engagement opportunities and to record important and relevant stakeholder comments. Stride Treglown also assisted the preparation of the Statement of Community Involvement. Stride Treglown’s nominated Project Director coordinated the various activities of the wider team, collated the Environmental Statement, and acted as key client liaison during the commission. Our Planning team devised a detailed town planning strategy was devised with Council, enabling a comprehensive and visually arresting submission to be made. Our masterplan was used to underpin a variation of condition application to update and amend a 2010 outline planning permission. Stride Treglown was actively involved in post-submission negotiations with Council interests, including issues related to financial contributions towards off-site highway mitigation measures. Planning permission was granted in May 2016, while a subsequent reserved matters application for the first phase of development approved in July 2016. Legislating for the wellbeing of future generations: can it work?